NO INTERNATIONAL ORDERS please! I apologize for the inconvenience. 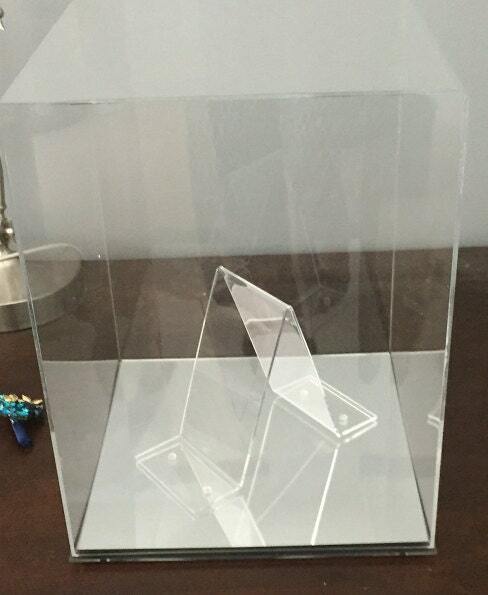 This listing is an example of a large clear top UV protect display case with a mirrored bottom. 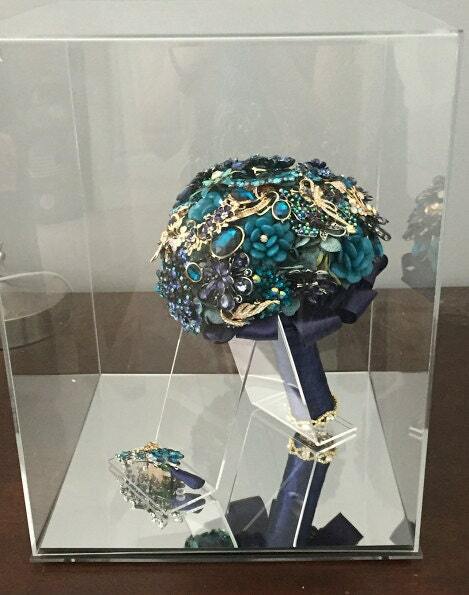 This would be a perfect way for any bride to protect a large brooch bouquet, silk flower bouquet or dried wedding bouquet. Dimensions of case pictured: 11 3/4 x 11 3/4 x 15 inches (inside). Orders are custom made and price may vary depending on requirements. Stand is an additional $15 please let me know when placing order. Production is up to 5 weeks from date of payment. Please message before ordering to check on turnaround time and other sizes.